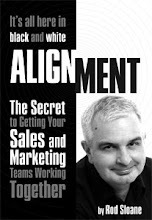 Sales and Marketing Alignment Blog from Rod Sloane: Be Different or Be Unique? Should you try and be different or be unique? Now we are all unique, but apart from our loved ones who can be bothered to analyse how? Can you? I can’t. Now, I like wearing black, black t-shirts, black shirts, black jeans, black shoes, my black leather jacket, Blackpool. Am I different? Yes, a little. Lou Reed was doing all this 40 years ago. Yes, I know Lou’s from Brooklyn not Blackpool. Here’s my tip, be yourself and you will be different. Don’t worry what others think and about you. You are not responsible for their opinions and prejudices. Then someday, someone else, not you, may call you unique.